Halloween is nearing! If you're on the hunt for easy DIY Halloween Lawn Décor, this is it! These Glow in the Dark Monster Eyes were so incredibly simple to put together, a child can do it (or at least help out!) Another plus? 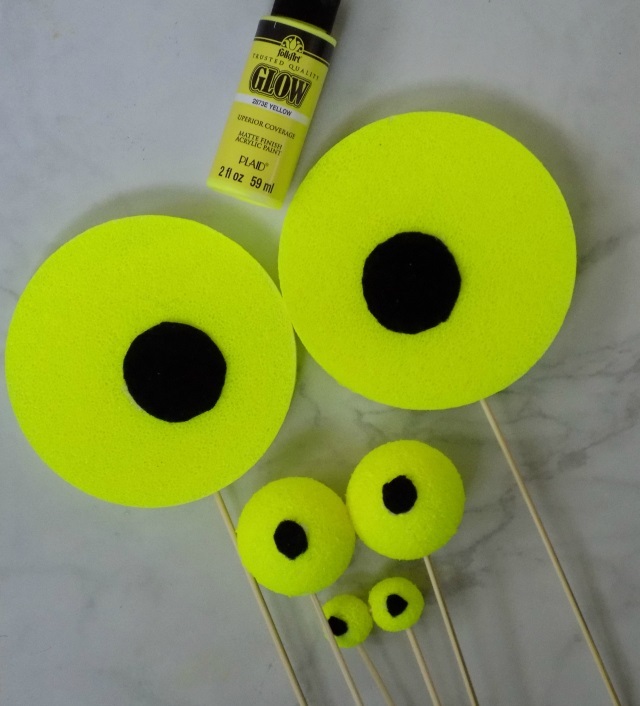 These DIY Glow in the Dark Monster Eyes only ending up costing about $4 (TOTAL - for several sets of completed glow in the dark googly monster eyes.) Aside from the paint (that I picked up at A.C. Moore for a little over $1 with the help of one of their high value coupons at acmoore.com) I grabbed everything from Dollar Tree. Friends, in all honesty, I haven't ever really gone over-the top with my decorations for Halloween. In fact, most years, I simply decorate for the Fall season. It's just easier. Think faux fall leaves, and flower arrangements, pretty wreaths, burlap garlands; basically items that transition easily straight on through to Thanksgiving. My oldest daughter is really into Halloween though, so this year I'm trying to amp up our Halloween Lawn Décor a bit. These DIY Glow in the Dark Monster Eyes were just the right touch. The glow in the dark paint charges in the daylight, and the eyes give off a yellow glow from our potted plants and garden beds, at night. All of the kids LOVE them, as do the neighbors. 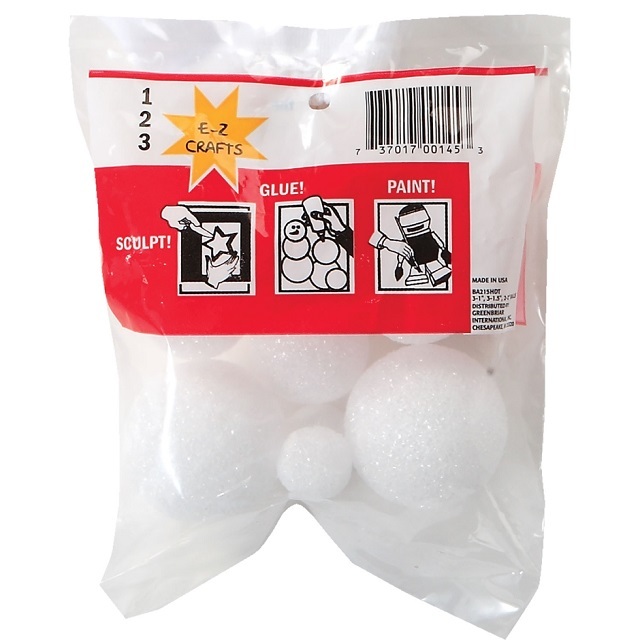 Insert skewers into the bottom of each of your foam balls and foam discs. 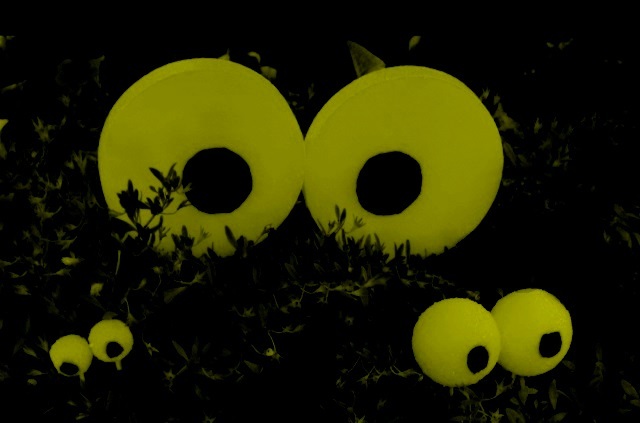 Gently press each "pair" of Glow In The Dark Monster eyes, into planters and garden beds etc. 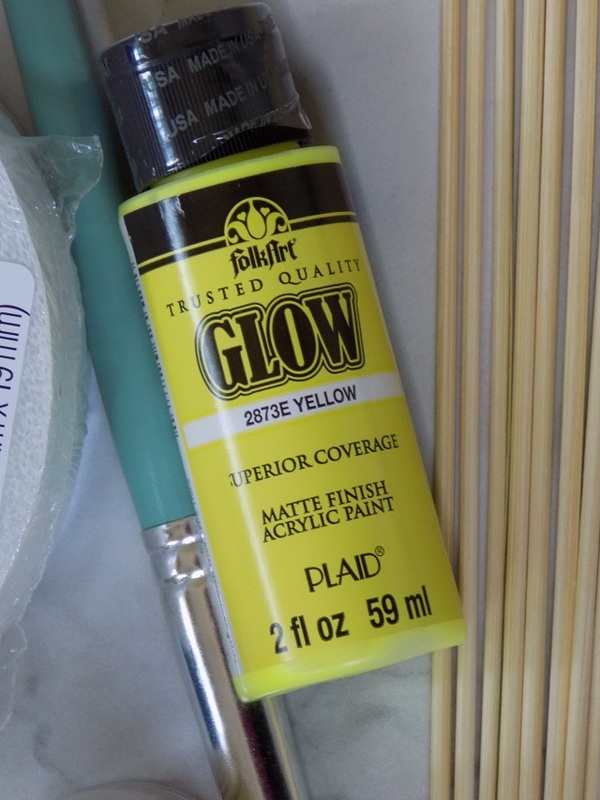 Allow adequate time for the sunlight to "charge" the Glow in the Dark Paint. 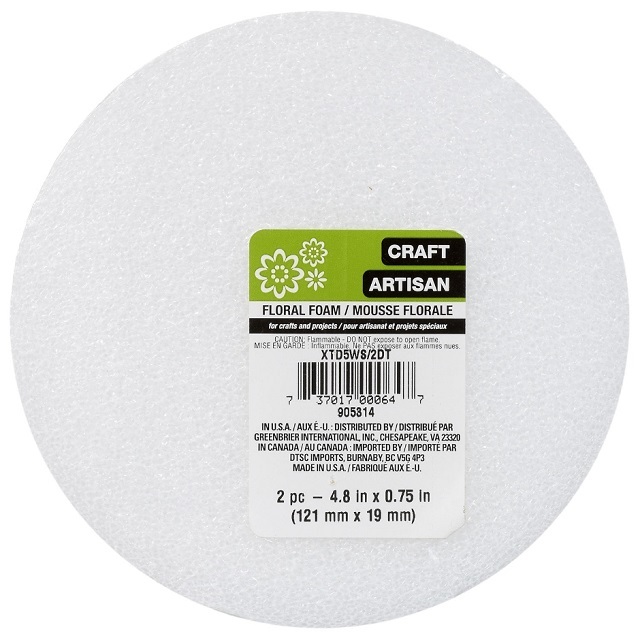 Enjoy the glow from your DIY Glow in the Dark Monster Eyes at night, when it gets completely dark outside! Happy Halloween and happy crafting, friends!